Corythosaurus was a very odd-looking dinosaur indeed! This dinosaur is classified as a lambeosaurine. Try saying that 10 times fast. Phew! 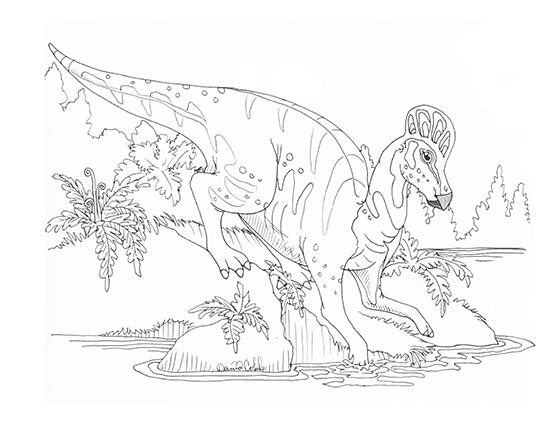 Lambeosaurines are a group of Hadrosaur dinos that had a round, bony crest on top of the skull. In fact, the name actually means “helmet lizard” in Greek. Some say this bony crest resembled a Corinthian helmet, used in the Greek city-state of Corinth. Do you think this is coincidence? Corythosaurus was classified as an ornithischian, which means they had a hip structure similar to the hip structure of birds. In fact, paleontologist Alfred Sherwood Romer hypothesized that birds might have evolved from this line of dinosaur. He used it, among other orthnithischians, as evidence for his theory. Corythosaurus stood about 30 feet tall and weighed between 3 and 4 tons. 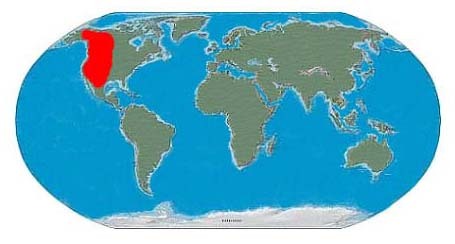 It lived about 77–75.7 million years ago, during the Upper Cretaceous Period, in the area now known as North America. It ate plants with a toothless duck-like bill. Some fossils have been found with the contents of their stomach still there! The meal included conifer needles, fruits, seeds, and twigs. This dinosaur was a very mysterious creature for the early paleontologists. Paleontologist Barnum Brown, nicknamed Mr. Bones, first discovered and described this dinosaur in 1914. His descriptions of the dinosaur were proven wrong when further studies showed errors in assumptions he made about the anatomy. Previous findings of similar species were actually not related to the 1914 discovery. With time, the Corythosaurus was proven to be truly unique. As mentioned, Barnum Brown was the first to discover Corythosaurus bones in 1914. This was a very exciting and amazing find because not only was it a mostly complete skeleton. Typically, fossils are scattered and usually they are found incomplete, so this was incredibly rare. More unusual, however, was that most of the skin was still intact! Soft tissue rarely fossilizes. The skeleton was preserved in clay, making it difficult to expose the skin to those conditions that usually result in destruction. The skeleton, including the skin, are now on display in the American Museum of Natural History.